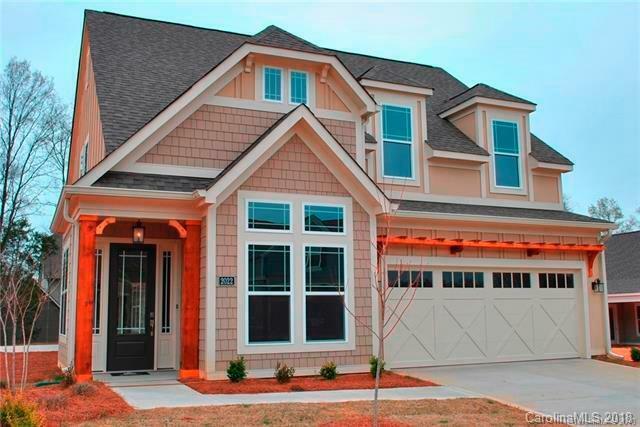 2022 Laney Pond Road #6, Matthews, NC 28104 (#3381769) :: Robert Greene Real Estate, Inc.
Wow! Amazing ranch home with a "Drop and Go" lifestyle feel! Want all the space but, the yard and home currently is just too much to keep up with? Wouldn't you like the feeling of just locking up and going when you'd like. This home and neighborhood is for you! Come enjoy all the newest conveniences of a new home with all the great features of high ceilings, moldings, cabinets with soft close doors and drawers, gas cook tops, luxury baths, with huge walk-in-closets, smart home options with surround sound and security systems, etc...these homes are waiting for you! Come make the court yard your getaway and walk right out your Master Bedroom or living quarters and feel at ease! Come enjoy the brand new Harris Teeter, restaurants, doctors offices, gyms, and much much more!